A week ago today, I turned 23! As it wasn't a special birthday, I didn't really do much to celebrate other than a family meal and a night out with the girls. 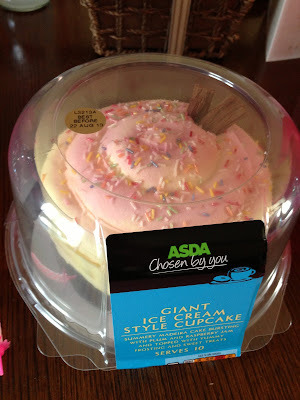 I did however want to make a small blog about all the things I got for my birthday. 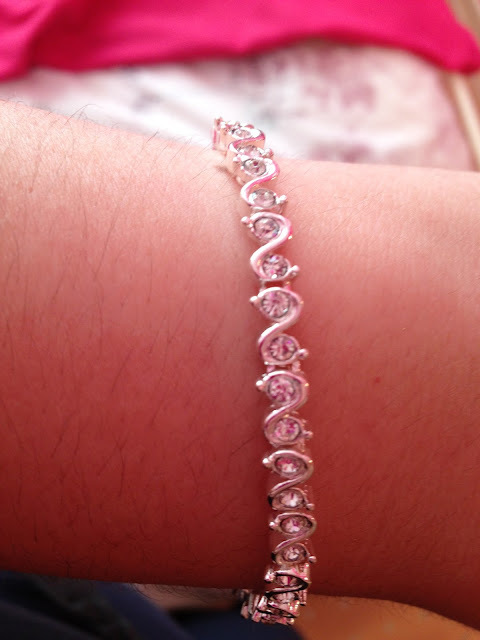 An Swarovski elements bracelet from a friend. I don't normally wear jewellery like this, I tend to stick to more costume jewellery, but I really love this bracelet and I've been wearing it none stop! Two new perfumes from Avon from my parents, the Far Away Bella and Outspoken Fresh by Fergie. I've had the original Outspoken before and loved this so I'm keen to try the Fresh one to see if it's as good. The Far Away Bella one is amazing, I've also tried Far Away and it's a very "maramite" perfume, people either love it or feel sick at the smell of it but Far Away Bella is gorgeous! This was from a gift card for Primark but I had spent it before I took a picture! As many of my family and friends know, I love my candles so I had quite a few little sets along with the odd bath sets too. Birthdays wouldn't be birthdays without a cake!